As a leading disaster recovery contractor in the greater Indianapolis and Lafayette area we also provide these additional services damage, restoration from fire damage, flood restoration and cleaning and repairs from storm damage for commercial and residential customers. We flooded basement cleanup services and emergency water damage restoration serves all of Lafayette, Indiana as well as Tippecanoe County. We know that when a flood happens, rapid response for our customers is vital so we are open 24 hours a day, 365 days a year, and we can in most cases arrive at your home with in an hour of your call for assistance. We have over 30 years of extensive experience in dealing with not only flooded basements, but also restoring water damaged building materials and peoples personal belongings which may have been damaged by flood water. Many of our clients are surprised to learn that we can fully restore damaged items such as photos, video, documents, furniture, electronics and more that have been damaged by water. We treat peoples personal belongings at our off site restoration facility, restoring these damaged items to pre loss condition. 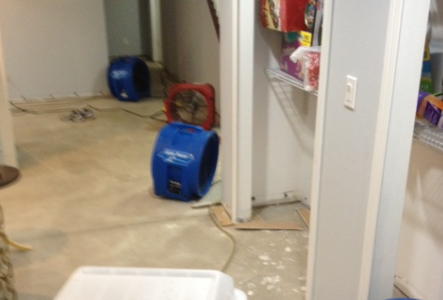 We also work to quickly secure any items that have not yet been damaged within the flood zone of your home. Our restoration technicians can also quickly repair any of your homes building materials that may have been damaged by water such as drywall, plaster and more. We also work quickly to prevent damage to your homes building materials by employing our state of the art rapidly drying technology after we have employed our water extraction equipment to quickly extract any standing water. If you have been the victim of a flood, call Fire Water and Storm Pros today for a clean up and damage assessment and see what we can do for you.